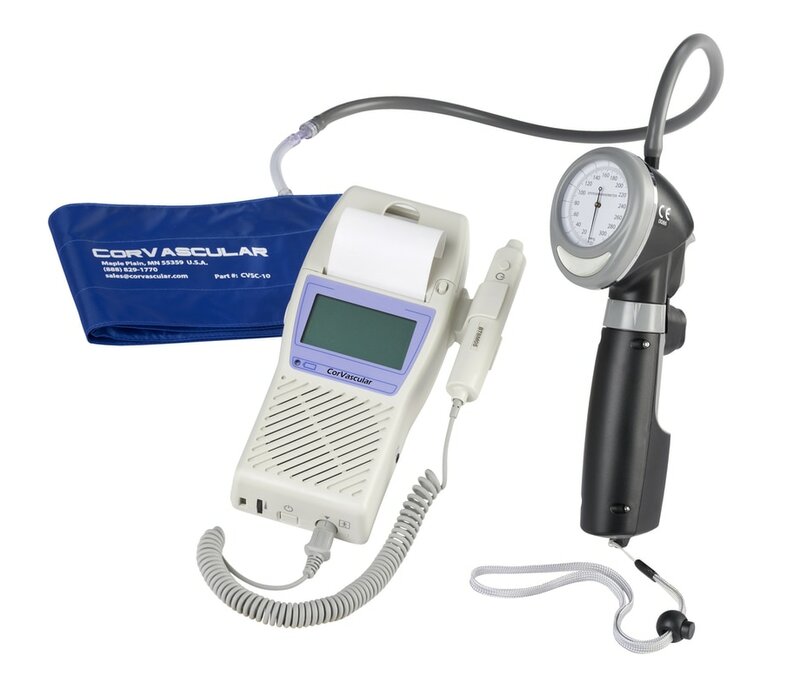 The CorVascular VasoGuard FS1 is the only auto-inflation handheld sphygmomanometer on the market. You can now perform all your Doppler and ABI studies quickly and easily. The FS1 is an aneroid sphyg with a comfortable ergonomic design. Push button inflation reduces hand and wrist strain and the user-controlled deflation trigger promotes accurate readings. CorVascular’s FS1 is a great compliment to the VasoGuard Handheld Doppler Series, making portable ABIs quick and easy!